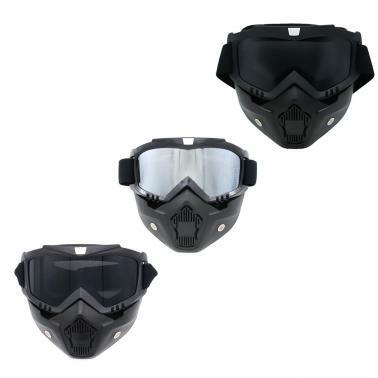 This pair of goggles can protect your eyes when you riding motorcycle or bicycle outdoors. Face mask has great effect of windproof and sand-proof. 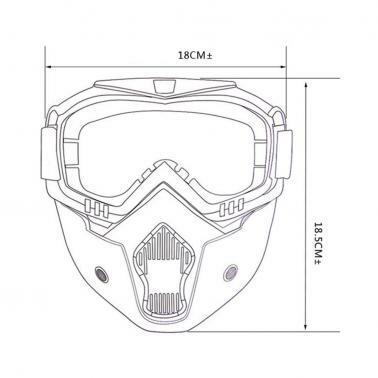 Also it is breathable for specially designed air holes, giving you comfortable feeling in the riding. Lens is antifog and anti UV, having strong toughness, not easy to break. 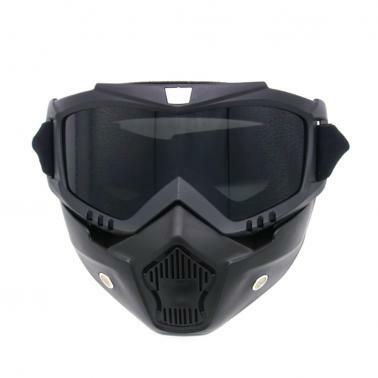 Frame is made from TPU material that can be bend arbitrarily, having strong ability to resist shock. High density single sponge absorbs sweat, soft and comfortable. High elastic belt with button can adjust size freely. Mouth design is removable and breathable. Filter sponge can effectively prevent the mouth from contacting with the mask, clean and healthful. 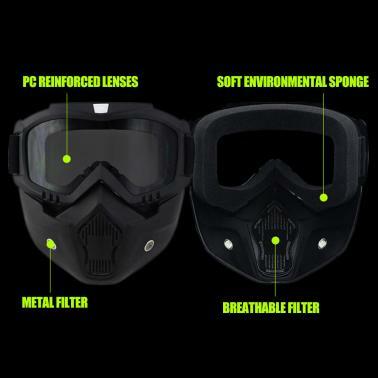 Both sides of the mask have two breathable air holes, making inside air fresh.